It’s happened again – McKinney makes Money Magazine’s list of Best Places to Live in America, this time in the #1 spot! For those of us who promote McKinney on a daily basis (both because it’s our job and because we simply love this town), it’s an exciting time when these lists are announced. It’s something we’ve experienced four times now – from #14 to #5 to #2 and now the top spot. How proud we are to live and work in a city looked at as so desirable! But then, we’ve known it all along. Money Magazine ranked McKinney as the #1 Best Place to Live in America! McKinney has been featured in the top 5 on the list since 2010. Money editors and writers look at data about employment, schools, crime and safety, and a lso evaluate each city’s overall quality of life to determine the rankings. The list, which comes out every other year and ranks cities with populations between 50,000 and 300,000, takes a definitive look at what makes a city a home. With excellent schools, beautiful natural parks and open spaces, affordable and diverse housing, plenty of jobs and a vibrant downtown, McKinney has become one of the most desirable places to live, not just in the metroplex, but in the United States. McKinney debuted on the Money Magazine list in 2008 at # 14. 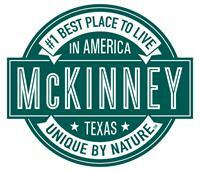 In 2010, the city ranked # 5, and on the 2012 list, McKinney climbed to the # 2 Best Place to Live in America. McKinney also has been among the fastest-growing cities in the country since 2000.